The Carnival King DFC4400 funnel cake / donut fryer is great for making golden funnel cakes, donuts and other fried pastries. Three 6" funnel cakes or two 8" funnel cakes can fit in the fryer perfectly at the same time. Made completely of stainless steel, the fryer features an oil drain in the front corner to easily drain used oil into a container for disposal. It also includes a thermostatic temperature control which can be set at 200-370 degrees Fahrenheit so you can keep the oil at the perfect temperature for whatever you are cooking. It requires little to no recovery time to get back up to temperature in between uses. 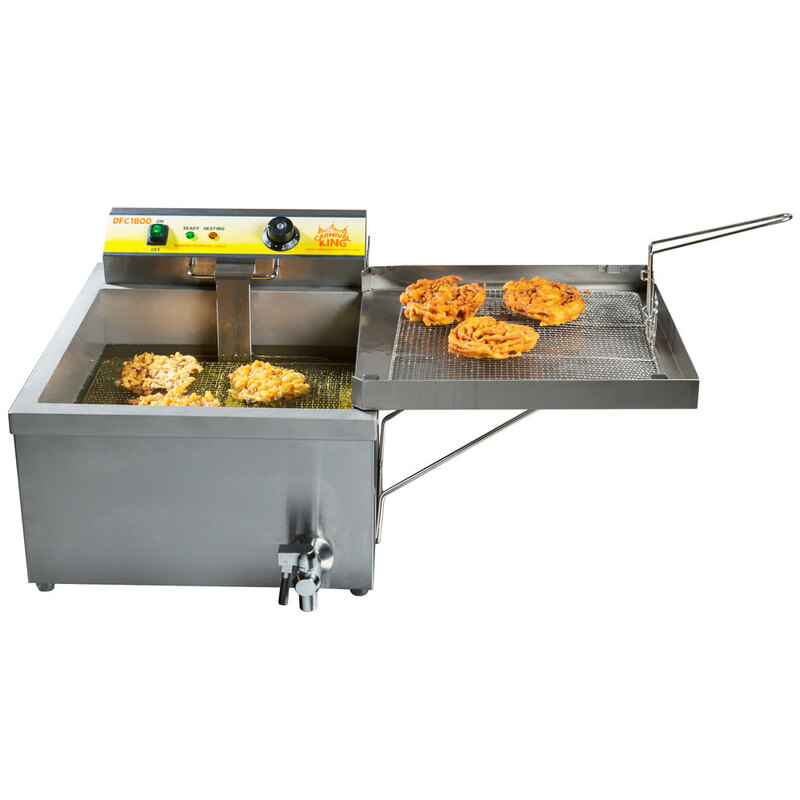 This fryer is easy to operate and offers an orange heating light, a green light that indicates when the fryer has reached the set temperature, and a simple on/off switch to eliminate confusion.